"De nieuwe biljetten met vijf nullen minder moeten op 20 augustus in circulatie komen." Ja inderdaad... het ziet er voorlopig niet naar uit dat Venezuela nog Zimbabwe gaat inhalen qua aantal nullen op bankbiljetten! Het gaat nog steeds ellendig slecht in Venezuela, maar nu de prijs nog laag is zojuist toch maar het UNC 'cien mille' biljet (hoogste denominatie) gekocht via deze link: https://www.ebay.com/itm/273404885390. $4,74 per biljet en $2,99 verzendkosten. By 2018, the bolívar fuerte became so worthless that it was used as confetti during baseball games, weighing scales could no longer convert mass to price and receipts could no longer fit the numbers on their paper. 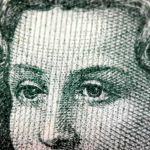 In May 2018, the government required prices to be expressed in both bolívares fuertes and bolívares soberanos at the then-planned rate of 1,000 to 1. For example, one kilogram of pasta was shown with a price of BsF. 695,000 and BsS. 695. Prices expressed in the new currency were rounded to the nearest 50 céntimos as it was expected to be the lowest denomination in circulation starting on June 4, 2018. Because 50 céntimos is the lowest denomination, it appeared that it was not going to be possible to pay for a litre of gasoline and the Caracas Metro ticket using cash as they would cost BsS. 0.06 [sic] and BsS. 0.04, respectively. The change in currency was originally scheduled for June 4, 2018. The President delayed the change, citing from Aristides Maza, "the period established to carry out the conversion is not enough." The revaluation took place on August 20, 2018. That day was declared a bank holiday to allow the banks to adjust to the new currency. On August 15, 2018, President Maduro announced that Venezuela will enter into an economic system of wages and prices rooted in both the Petro currency and the Bolívar soberano.